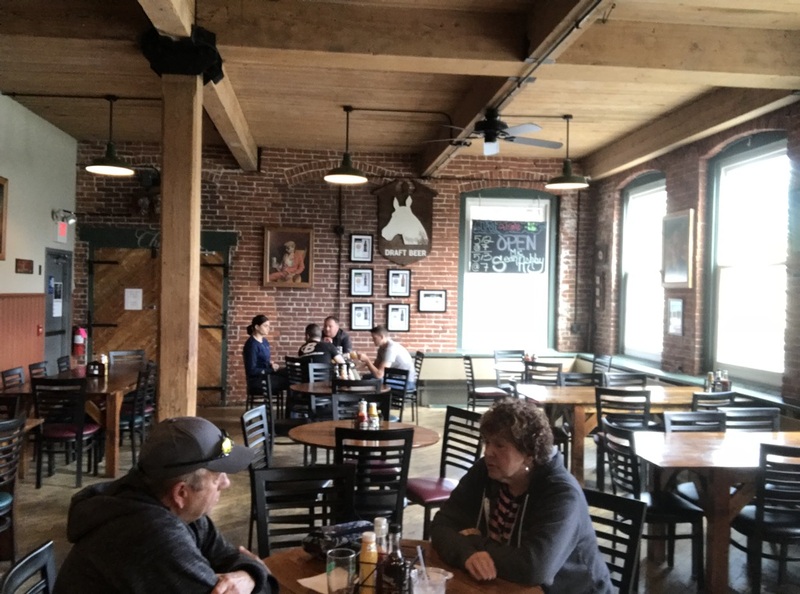 This year, near the end of Harrisburg Beer Week I was fortunate to find myself in Carlisle PA, the very heart of the Cumberland Valley Beer Trail, and was able to sample and enjoy some of the best craft beer Pennsylvania as to offer. The Cumberland Valley Beer Trail stretches from Chambersburg to Harrisburg and currently includes 19 breweries, a distillery and a meadery, with three more breweries, another distillery, and a winery to be added soon. Of course you shouldn’t explore the Cumberland Valley Beer Trail without a passport. You can get a Beer Trail Passport from the Cumberland Valley Visitors Bureau or any of the participating beer trail locations. Each time you visit a location on the trail you can get a sticker, and depending on how many stickers you collect, you can redeem the passport for prizes such as a bottle opener, coupons, a t-shirt, and a chance to win a $50 gift card! According to the Visitors Bureau, beer tourism is growing fast, and the beer trail is attracting craft beer lovers from all across the country. The Bureau reports that 25% of the passports redeemed are from people who live more than 2 hours from the trail, and people from as far away as Florida, Texas, and even Oregon have redeemed passports. The first stop on my beer trail experience was at Roy Pitz Brewing in Chambersburg, PA. They describe their craft beer as liquid art. I sampled their Barleywine, West Coast IPA, Smoked Porter, and Sour Gose, and to be honest I don’t think they were bragging- just stating the facts. Not only was the beer noteworthy, they had a pretty good food menu also. The Brew House Nachos have pulled pork, shredded Monterey jack, pico de gallo, and scallions topped with sour cream on a bed of tortilla chips. So good! And have you ever had a cheesesteak egg roll? The menu also included a number of burgers, sandwiches, wings, and more. And of course no pub menu would be complete without the classic fish and chips! The tasting room had a comfortable feel, the staff was friendly and helpful, the food was good, and the beer was awesome! My next stop on the Cumberland Valley Beer Trail was at Gearhouse Brewing in Chambbersburg. This craft brewery is located just around the corner from Roy Pitz. They had a wide variety of craft beer on tap that would please the most discerning craft beer enthusiast such as a Hefeweizen, Kölsch, amber lager, American and Irish reds, a blond ale, IPAs, and stout. I had an Angelic Red Ale and the I’ll Be Bock amber lager. The Angelic Red had a beautiful amber/red color, a nice roast malt aroma with a hint of lightly toasted bread and rich malty flavor. The I’ll Be Bock had a biscuity aroma with just a hint of hops, and a fresh, clean, biscuity flavor with a light caramel malt presence. Both were delicious. They also have an eclectic food menu with a variety of items such as poutine (fried tater tots with cheese curds, beef gravy and beer cheese), fish tacos, mac & cheese, and assorted sandwiches and sliders. This is a great place to stop in after a hectic day at work, or to unwind on the weekend. Fine beer and pretty good food. Next stops, Pizza Boy and Ever Grain Breweries! Guinness Open Gate Brewing and Barrel House does NOT brew Guinness! Previous story Kindred Spirit’s 2nd Annual Chili Cook Off!